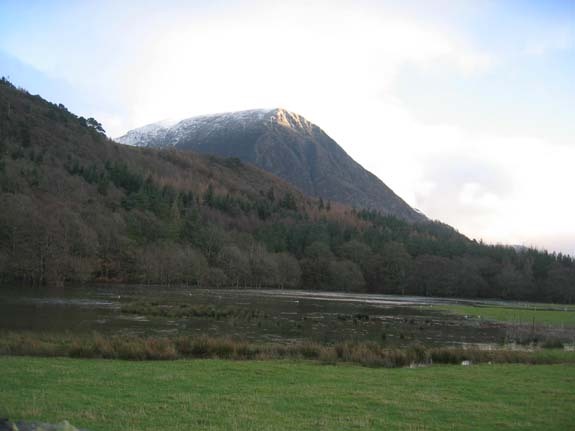 Time and place : A local walk in Loweswater, Saturday 27th Dec 2003. 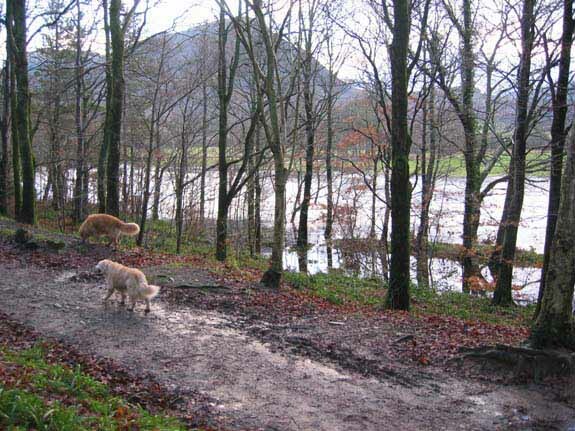 Occasion : Following the downpour of Boxing Day Ann took the dogs for a walk to the Lake. 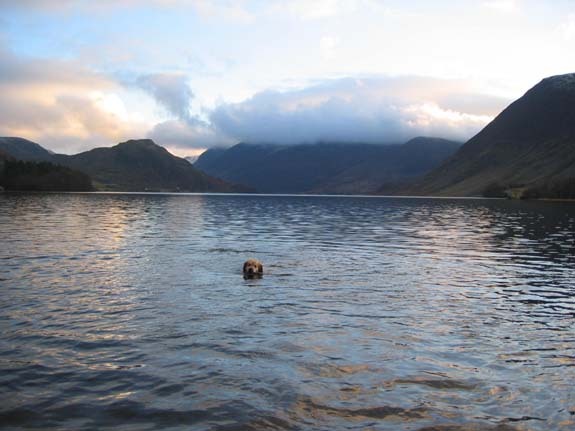 Walk details :Road then forest track to Crummock Water, but no further as you will see. 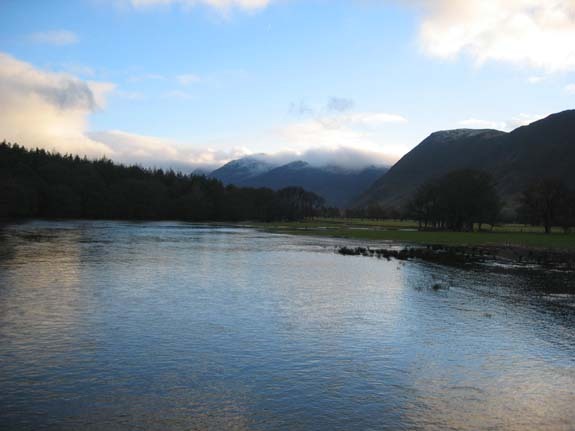 Weather : Dry but cool, after two heavy days of rain. Setting sun late afternoon. 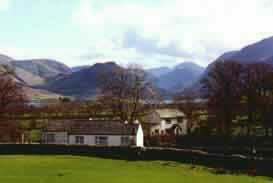 Overnight snow on the tops. 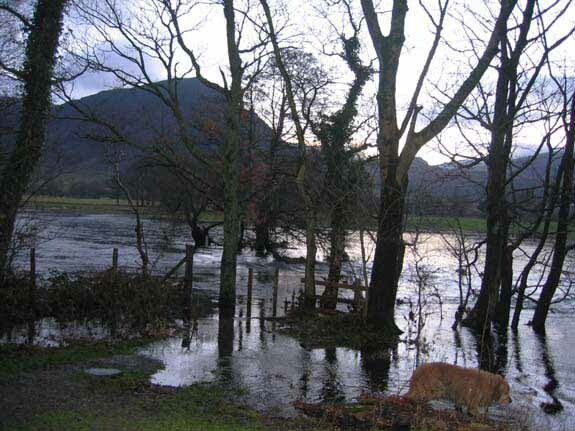 Loweswater has several extra lakes today like the one in the field here. 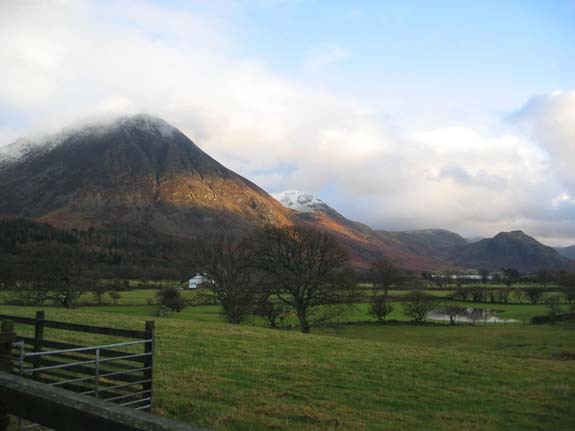 The bulk of Grasmoor with some overnight snow on the top. Not the lake but the riverside field completely covered by several feet of water. The High Stile Ridge is gathering some afternoon cloud. 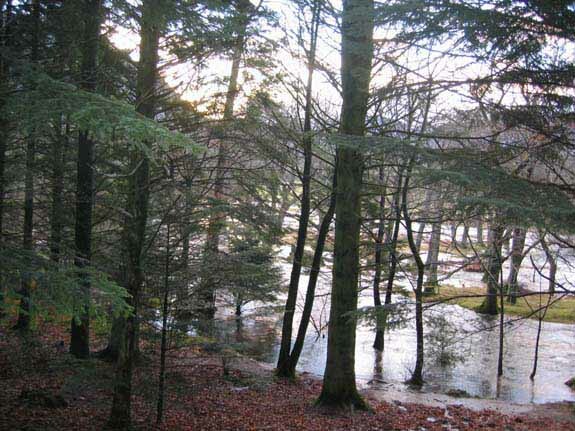 The forest track and the river much closer than normal. On the bend by the swimming pool the river has completely cut the corner. 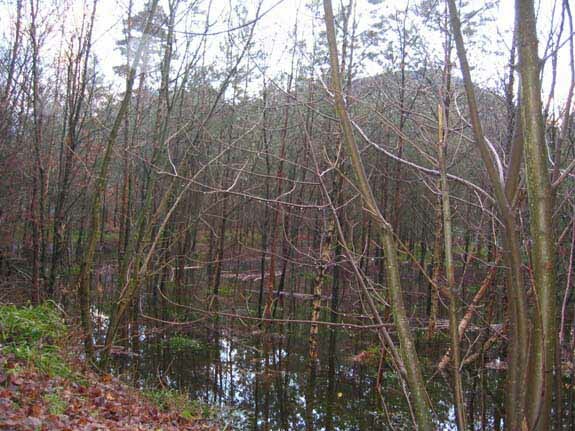 A new lake by the bridge, and now a new swamp surround the birch saplings here. 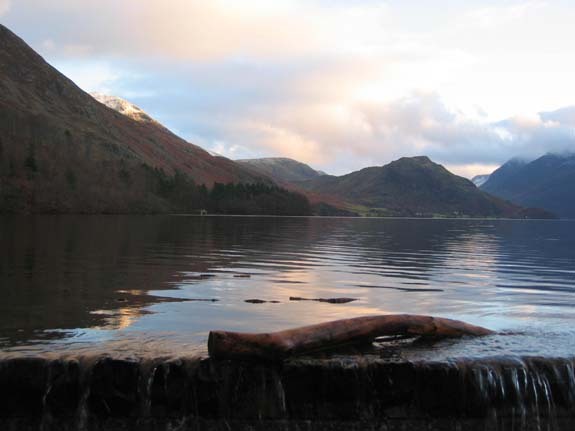 A log carried down by the recent rains is stranded on the lakeside wall. More flotsum - oh no - its the atlantic "golden" seal on holiday. At the outfall itself the current was too fast for swimming. 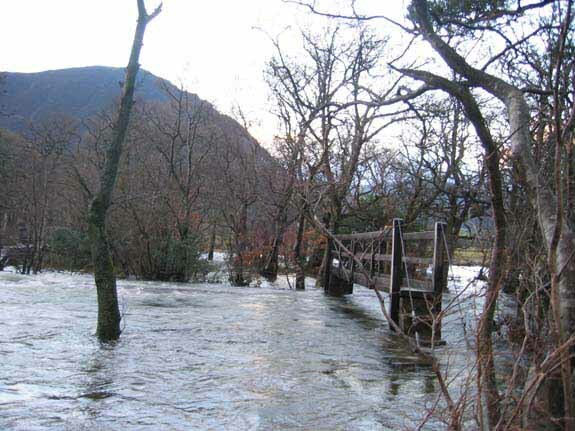 and the bridge on the lakeside footpath totally inaccessible. Returning home the same way - no round trip today. 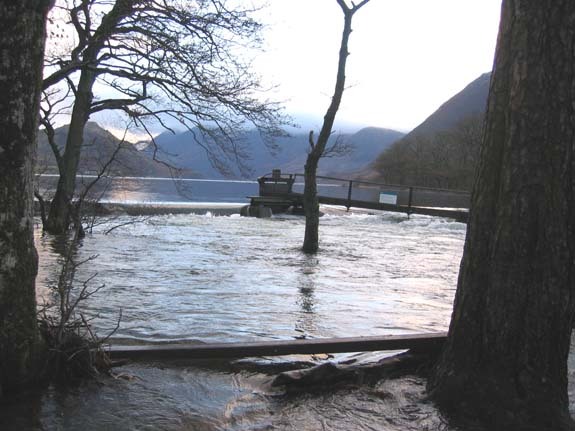 Here the weir has disappeared and the river has been threatening to engulf the car park itself. This site best viewed . 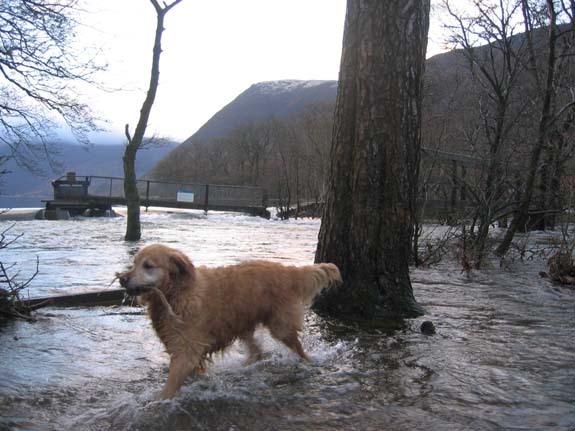 . . with a good pair of wellies.